Thousands of loyal Tigers fans converge on Downtown Detroit each home game, casting an exciting buzz over the city. Bring the whole family to the ballpark for a day of fun. Tickets can be purchased for low prices, and memories will last a lifetime. Win or lose, stick around after the game for fireworks on Friday and Saturday night. It's the perfect way to end an unforgettable evening with your family. If you don't have the kids, stop by one of the nearby bars or casinos to keep the party going! Tigers games are some of the most popular events to attend Downtown. You can enjoy fantastic views of the city, witness some friendly competition, and share in hometown pride with everyone you come across. 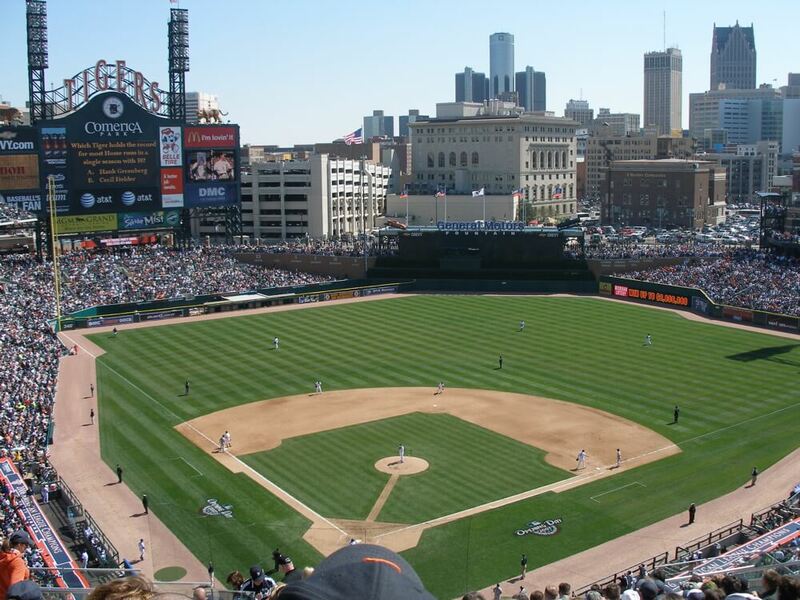 There's no better way to experience Detroit than going to a Tigers game! Make sure you're going to get there in the safest and mos comfortable way possible with a party bus or limousine. A professional mode of transportation is sure to make all of the difference in your Tigers game experience. There's no better way to tailgate than with a vehicle that has all of the amenities that a nightclub has. You won't have to deal with traffic, finding a designated driver, or getting your friend group together. There's no better way to have a great time in Detroit!